Most business owners want as little to do with the taxman as possible. That’s understandable, as it usually means another bill. 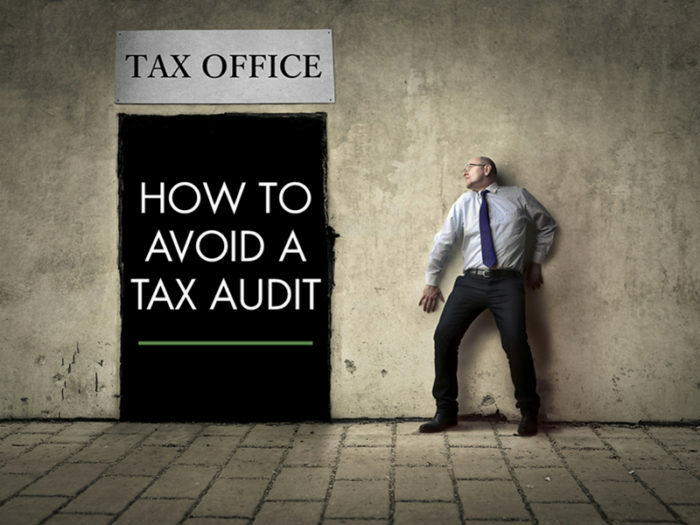 But the best way to avoid a tax audit is to follow best practices and avoid activity that will raise suspicions. Then you can sleep easy at night. Admittedly, this one you may not have too much control over. Every business has a bad year. Your tax return contains information that allows the tax office to benchmark the performance of businesses of similar size. Whilst there are many factors that can impact on the performance of a business, this information gives the tax office the ability to compare results. Computers run the numbers and the exception reports generated can lead to letters requesting explanation or audit activity. The tax office is particularly interested in the transfer of wealth and gets a lot of information on transactions from state revenue departments in regard to stamp duty transactions. Unusual transactions or transactions where capital gains have not been declared will generally attract their attention. There’s nothing wrong with structuring your affairs to minimise the tax you pay. Provided, of course, that you stay within the letter of the law. What constitutes “aggressive tax planning” may depend on your point of view but the tax office almost certainly takes a conservative approach. If there is any doubt in regard to a transaction, it may be best to get a private ruling prior to committing. Remember that a favourable ruling is only a green light to the extent that the transaction mirrors what was contained in the private ruling application. Any variation will render the ruling invalid. Luxury cars, boats, and overseas holidays at resorts will attract the attention of the taxman if you only declare a modest taxable income each year. The tax office has the ability to raise an assessment on the basis of your spending or the assets that you own. The onus of disproving this assessment rests with the taxpayer. The tax office has the ability to access your private banking records, including credit cards. They can see what your spending patterns are. Generally, this will give rise to a fringe benefits tax (FBT) liability, at a minimum. Private use of assets acquired by a business (cars, boats, planes, artwork etc.) will create a fringe benefit unless market value rental is paid for the use. Ensure that lodgements and payments are made on or before the due date. There is no surer way to attract the taxman’s attention than consistently filing late lodgements or payments. The occasional miss by a couple of days can generally be explained but continually being late will be taken as a sign of trouble. It also makes it a lot more difficult to negotiate with the tax office if there is a history of noncompliance. Need help with tax planning or dealing with the tax office? Now you understand how to avoid a tax audit, what changes can you make to your business to stay off the ATO’s radar? If you are already on its radar, it’s best to be on the front foot with the tax office. They are generally accommodating if they can see a positive history of payments and lodgements and there are genuine grounds for hardship. The tax office would, of course, rather collect over a period of time than not get paid at all. If you do get flagged for a tax audit, remain respectful but remember that you only need to comply with the law. You’re entitled to contact your accountant or tax agent prior to providing any information or access to your records. Contact us here if you are facing these circumstances now and need assistance.